With Tire & Wheel Protection Platinum, we’ll help keep your tires, wheels and your budget intact with protection that’s available for up to 5 years. We’ll replace your tire if it becomes damaged by eligible road hazards such as nails, broken glass, tree limbs or a pothole. If your wheel fails to hold a seal with your new tire, we’ll replace it. With no limit to the number of covered claims, coverage for replaced tires continues during the term of the agreement as long as they meet your vehicle manufacturer’s size specification. We cover eligible damages caused by an operational or structural failure due to a defect in workmanship material. 1 Product covers damage caused by conditions defined as eligible road hazards (commonly defined as debris on a public roadway such as nails, glass, potholes, rocks, tree limbs or other objects or conditions not normally found in the roadway). Road hazards may not include damage that occurs in construction sites/zones. Tire & Wheel Protection Platinum Plus comes with all the benefits of our Tire & Wheel Platinum Plan including tire and wheel replacement due to eligible road hazard events. Permanently removes minor dents and dings up to four inches in diameter for the life of the agreement. Restores your front windshield from minor chips and cracks up to six inches for the life of the agreement. 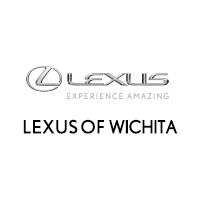 Both Paintless Dent Repair and Windshield Repair can be done at your home, at work, or your local Lexus dealership. 2 Tire & Wheel Protection Platinum Plus is not available in all states. 4 Excludes stress cracks or cracks over six (6) inches, damage to the inside of the windshield, and damage to windshield caused by hail, vandalism or neglect. Program may not be available in all states. Ask your dealer or see agreement for complete coverage terms and conditions. See participating dealer for details.